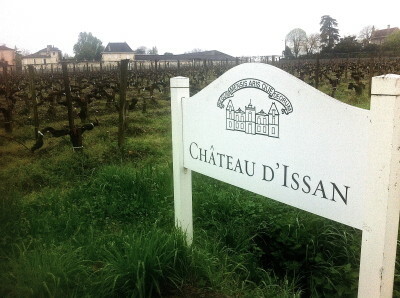 One of the oldest classed growths with origins dating back to the twelfth century, Château d’Issan is currently run by Emmanuel Cruse. There have been major investments here over the past ten years or so both in the vineyard and in the cellar. Jacques Boissenot is the consulting oenologist and Eric Pellon the technical director. The 2005 is an excellent Margaux as is the 2009. Vineyard/Soil: 65% Cabernet Sauvignon and 35% Merlot. Winemaking/Elévage: Fermentation takes place in two vat houses with temperature controlled stainless steel tanks designed for plot by plot fermentations. Malolactic fermentation in barrel. Racked by gravity and aged 18 months on oak. Egg white fining. 2009 Deep at centre; earthy blackcurrants, spices, coffee beans, almost old-fashioned in the nicest sense [I like this]; plenty of layers of blackcurrant fruit with attractive earthy notes. Very full on the palate but had good left and acid. Grip on the finish. Interestingly balanced for a 2009 with lots of freshness. I wonder if this will turn out to be as exceptional as their 2005. Drink 2016-2030. 93+ MW Institute, Nov ’13.